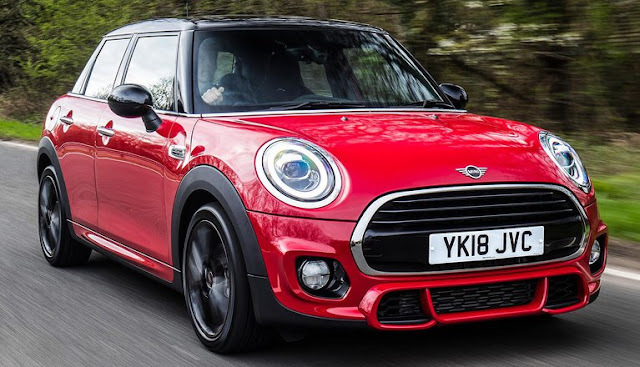 The Mini, or Mini Cooper as it’s fondly called, has quite some history and lineage associated with it. This British marquee, owned by BMW since 2000 is best known for being Mr. Bean’s car, and has even been part of several Hollywood movies as well. Although this car has always been a favorite amongst male enthusiasts, we feel that it is equally potent for our female counterparts as well. The JCW edition is available in a slew of avatars, including a 4-door trim, a hard-top trim and a convertible trim. Prices start at $31900 and go all the way till $38,400. It is powered by a 2.0 liter, 4-cyl. engine which makes 228 hp of power and 258 lb.-ft. of torque. A 6-speed manual transmission is standard, while there is an option of a 6 speed or a 8 speed automatic transmission as well 0-60 mph is seen at 6.2 seconds, which makes it a fast car. With small footprint and a crisp steering, it is an absolute joy to throw it around corners, and handling is one area where this Mini truly shines. That, coupled with sure-footed brakes make the 2018 Mini Cooper JCW an absolute mad machine to drive. Notable stand-out features include adaptive cruise control, a heads-up display and a 12-speaker Harman Kardon audio system. 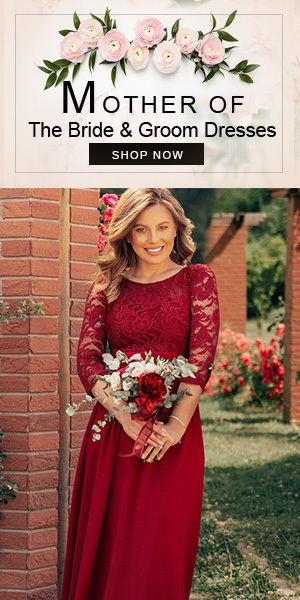 It is also available with a ton of exterior customization options, which make it a truly desirable machine for all. Just like the Mini, Beetle too comes across as a brand which has a lot of heritage and lineage associated with it. Nicknamed the ‘Bug’, Beetle comes across as a car with quirky looks and feminine design touches. Conceptualized as ‘people’s car’ in 1934, Beetle has been in production since 1938. 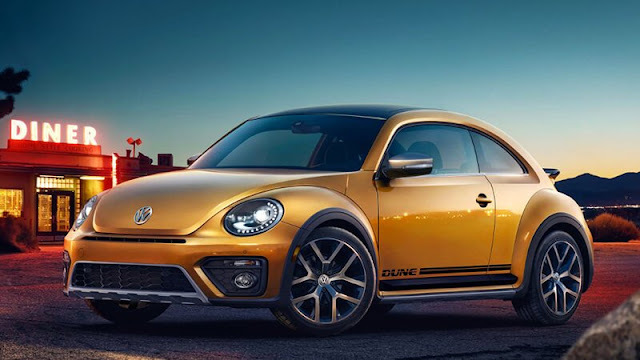 Although Volkswagen decided to pull the plug on its iconic car in 2019, there’s no denying the fact that the Beetle remains a desirable car for all genders. The Beetle is priced between $20,220 and $26,790, and is powered by a 2.0 liter inline-4 engine which develops 174 hp of power and 184 lb.-ft. of torque, which is mated to a 6-speed automatic transmission. 0-60 mph is seen just under 7.5 seconds according to 2018 Volkswagen Beetle review, which makes it fast for its class. The steering is a well calibrated unit, which is light at city speeds and weight up well as you hit the highway speeds, and all of this results in tight handling around the corners. The car is not a corner craver by any means, but doesn’t feel unsettled either. The brake pedal has a long travel, but brakes are sufficient to stop the car without any fuss. Standard features include blind spot monitoring, rear cross-traffic alert system and VW Car-Net and Security Service. This agile and compact hatchback is a mean machine, and is a really desirable product for all. The SLC was introduced by Mercedes Benz in 2011, and is currently in its first gen only. The convertible version is priced at $61,350. The SLC 300, which happens to be the base trim employs a 2.0 liter 4-cylinder engine which churns out 241 hp of power and 273 lb.-ft. of torque. 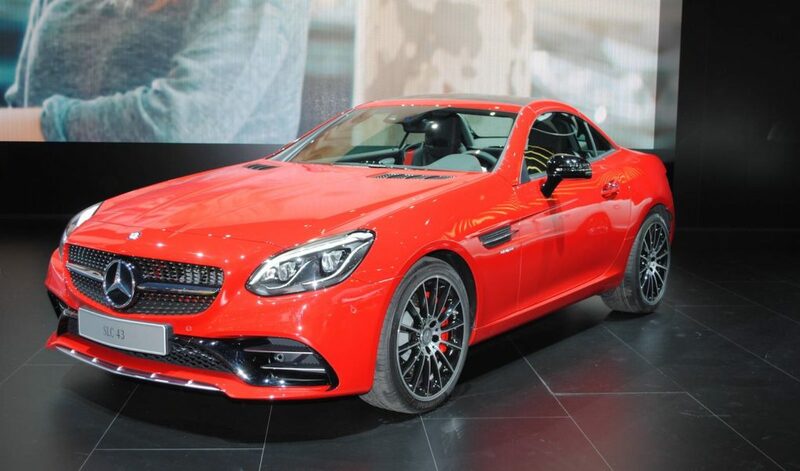 The AMG SLC 43, employs a more powerful 3.0 liter V6 engine which out 362 hp of power and 384 lb.-ft. of torque. This engine is mated to a 9 speed, shiftable automatic gearbox. Being an AMG, the car is filled with agility to the brim, and the feedback rich steering adds icing on the cake. The ride and handling balance is spot on, Mercedes has totally hit it out of the park! The car is eager to dart into corners, without losing stability. Standard features include forward collision alert and mitigation system, adaptive cruise control and lane keep assist. With so much agility coupled with top-notch safety tech, this is one car which is desirable in every possible way.